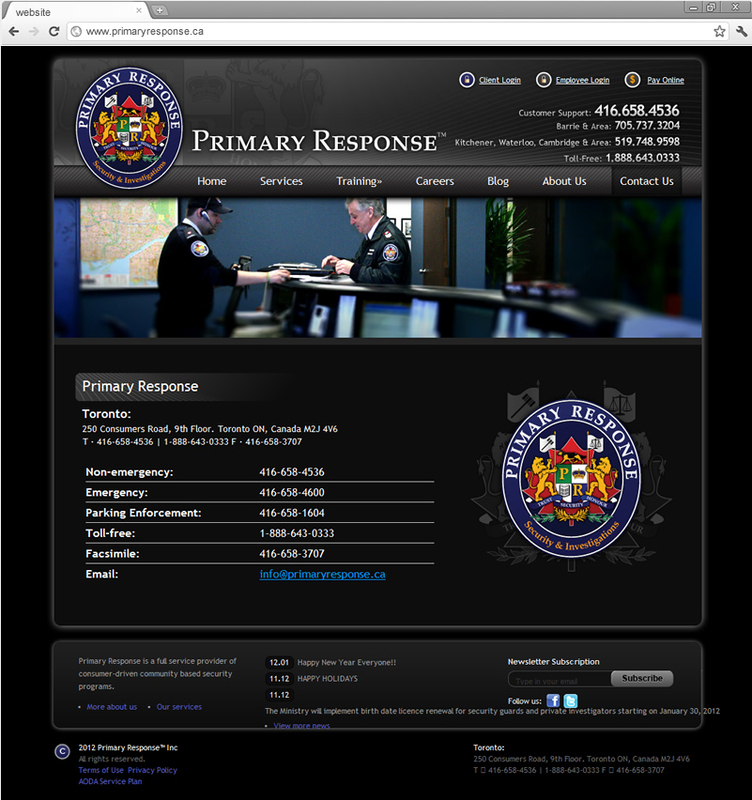 Primary Response is a well-known security company with an extraordinary reputation in Canada. 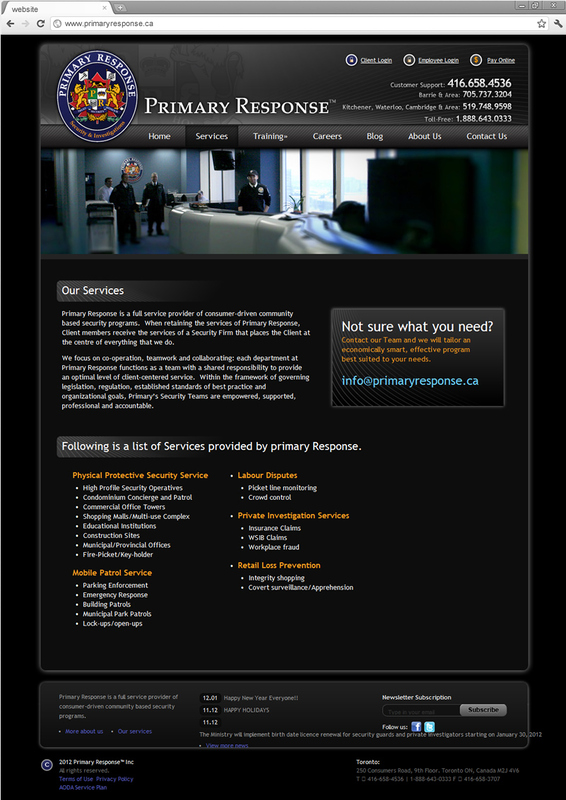 The company continues to provide the most affordable and the most reliable security solutions to residential and commercial clients. 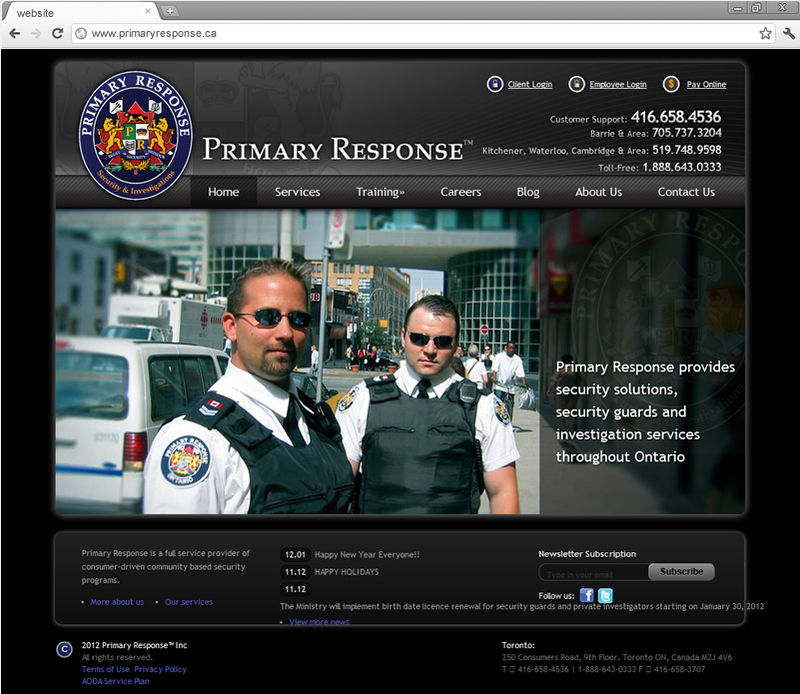 The website is designed with the intent to connect consumers, job seekers with employers and service providers.